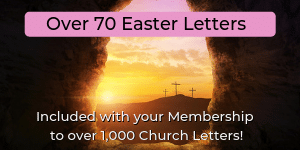 To gain access to our Free Church Letters, click here. Already a Member? Click here to log in. 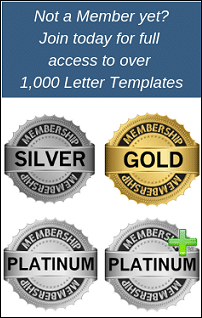 (Paying members do not need a separate membership to access the letters in this category. They are already included in your membership). After signing up, simply sign in to view the 20 sample letters and welcomes in the specified categories. This will give you an idea of the kind of letters we have available here on our website. 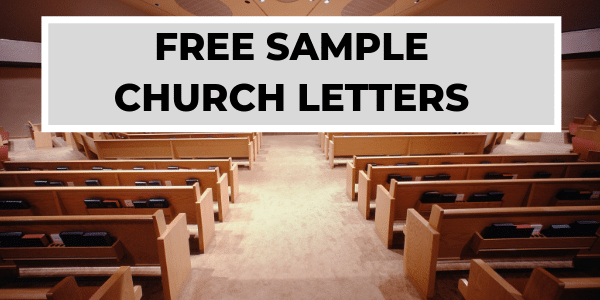 All our letters have either been written or edited by a Pastor with over 35 years of full-time ministry experience. These areas include Youth Pastor, Evangelist, Associate Pastor and Senior Pastor. Our letters have been offered online since the year 2005, which in “internet time”, is a long-term endeavor! Why not join our site to begin to communicate with your congregation in a more effective way from over 60 available categories. Some of our most popular categories are the Visitor Follow Up category, Church Donation category, Thank You category and Recommendations category. Join today for FULL ACCESS! Statistics say that most people who usually don’t attend church would attend a service if they were ONLY invited. It is encouraging to see that you not only extended an invitation but went out of your way to make their experience here at First Christian Church an enjoyable one. Logged in Members, CLICK HERE to view and/or copy full text! I greet you in the Name of our Lord and Savior, Jesus Christ. Recently, it came to my attention that you will be moving away from the area, and will no longer be able to attend First Christian Church. It has been a joy having you and your family as part of our congregation here at First Christian Church. Logged in Members, CLICK HERE to view and/or copy full text! Welcome to (name of city)! Recently, we learned you moved into the area, and I trust that you are finding the city to be one which has welcomed you with open arms. I know that it can often be a difficult time moving into a new area, getting acclimated to the roads, enrolling the kids in school, getting to know new people on the job, and a host of other items too numerous to mention in a short letter. Logged in Members, CLICK HERE to view and/or copy full text! I write briefly to let you know that I am thinking of you and praying that God will provide full and complete healing as you go through this difficult time in your life. I write briefly to send thanks on behalf of the congregation here at First Christian Church for your ministry in the Sanctuary Choir. 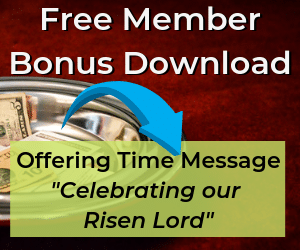 I realize that it takes a considerable amount of time and sacrifice to participate in this great ministry, yet I also know how rewarding it can be on a personal level, as well as the great blessing it is for the entire congregation. Logged in Members, CLICK HERE to view and/or copy full text! Those words spoken by the Lord are at the heart of our desire to share the Gospel with the world through our Missions giving here at First Christian Church. Sadly, the Great Commission has become for many people the “Great Omission,” as they have failed to realize the supreme importance Jesus placed on reaching the lost. Logged in Members, CLICK HERE to view and/or copy full text! With this being the first Wedding Anniversary you will spend since the passing of your wife/husband, I want to assure you that we are thinking of you, and praying that God will undergird you with His strength. Logged in Members, CLICK HERE to view and/or copy full text! I wanted to take a moment to send you a note to invite you to join us for a special class for Water Baptism on Sunday, November 15 at 10:00 AM during the morning Sunday School hour. One of the most evident testimonies of the Salvation that has taken place on the inside is the act of Water Baptism on the outside. It is our way of showing the world what has taken place, as well as identifying with the death, burial, and resurrection of Christ. Logged in Members, CLICK HERE to view and/or copy full text!